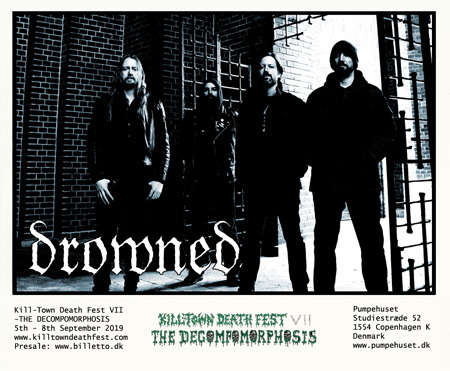 Killtown Death Fest » Announcement #18: Drowned (de) returning to KTDF!!! Announcement #18: Drowned (de) returning to KTDF!!! Today we have the distinct honour of presenting one of our favorite German death metal bands of all time. The band has been around for almost 27 years with various levels of activity, but still managed to put forth some of the best death metal to ever emerge from the German metal underground. Having recently added a 4th member to their line-up, their performance at this years KTDF will be a rare opportunity to catch them live and in this new constellation. We are very excited to announce that DROWNED will return to Kill-Town Death fest VII!!! Drowned was founded in 1992 in Berlin and has since gone through a good number of demos, line-up changes, split-ups and long comatose intervals. Their last full length album Idola Specus fom 2014 contains material written over a period of roughly six years and introducing new members T 2 and G, it takes up the torch from where Drowned left off with their mini-album Viscera Terrae in 2006. Instead of presenting a rehash of times begone, Idola Specus proved to be a valid statement to the gospel of Death Metal as it was meant to be played. Emanating an aura of surreal morbidity with hints of doom and prog, Idola Specus is as esoteric and introspective as it is dark, heavy, and raw. In support of the album, Drowned played a two-week European tour, as well as a string of club shows and festivals such as Hell’s Pleasure, Nidrosian Black Mass, Metal Mean, Til Dovre Faller, Incubate, Hellfest, Live Evil, etc. Late 2017 saw the addition of H as a second guitar player, premiered on the occasion of Grave Miasma’s 10-year celebration in London, UK. Since 2018, Drowned has entered a state of seclusion in order to work on new material for a future album. 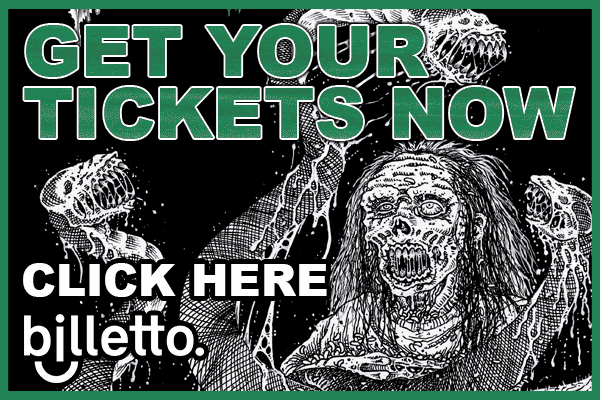 As the silence will only be broken by very few selected shows, Kill-Town Death Fest will be a rare occasion the see the band perform in 2019.